Are you ready for the winter season? 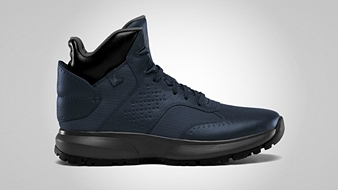 If you are not yet set for it then you should start preparing now by getting one of the latest boot from Jordan Brand called Jordan 23 Degrees F.
The Jordan 23 Degrees F, which debuted in the market last month, will be released in two more colorways this November — Obsidian/Black – Dark Grey and Dark Grey/Black – Utility Blue. 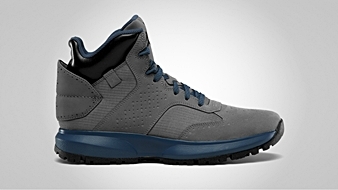 The kick features water resistant leathers on the upper part that sits on a phylon midsole. Jumpman logo is not as big as the usual, but the outsole bears a bigger one along with a resemblance of the Brooklyn map. Get your own pair for just $110 immediately!